I just received a new CD from Olivia Foschi that is really worth listening to. Olivia is young, but she already paid her dues honing her singing skills, and it shows. 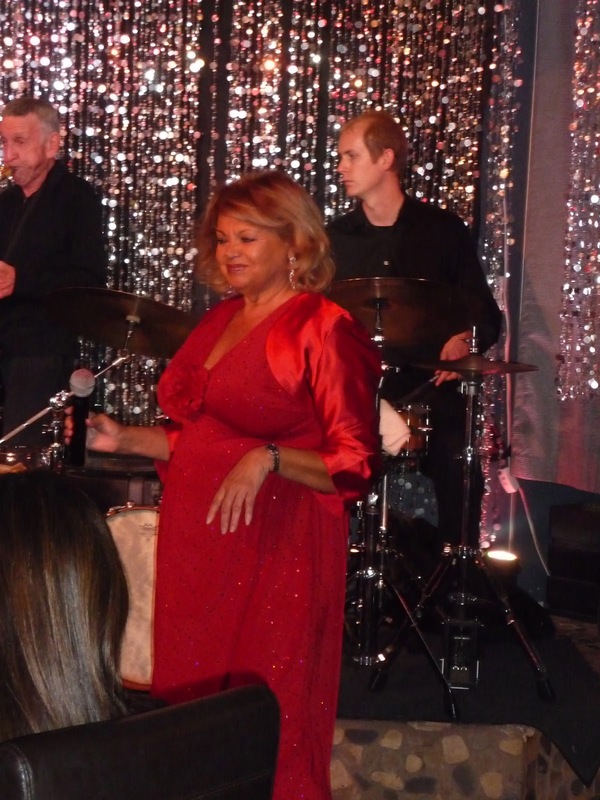 She took her first theory of music class in high school and discovered her passion for Jazz. She studied at the University of San Francisco and at the same time began collaborating with jazz and folk musicians around the Bay Area. In 2001 she was given the opportunity to study classical Nepali voice with well-established singer and composer Aavaas. This experience left her eager to explore her voice paying particular attention to color and rhythm. She moved back to Italy in 2002 and earned a B.A. in English Literature at the John Cabot University in Rome while continuing to take voice lessons with Luisa Cottifogli. In 2005 she moved on to study jazz voice with Cecilia Izzi at the University of Music in Rome and nonverbal communication with established singer/songwriter Grazia Di Michele. The result of all of this experience and study has been injected into her new CD, "Olivia Foschi, Perennial Dreamer". This CD contains a few standards, like the classic Van Heusen/Burke "Here's That Rainy Day" and "Alone Together" from Dietz and Schwartz along with several new songs that Olivia has written. Olivia also did some great arrangements for a lot of the songs on CD. According to the multi-talented singer, "The CD is supposed to take you to a comfortable, cozy place. I wrote and arranged a lot of the songs and have included some of my favorite standards to even it out." She suggests that we "kick your shoes off and pour yourself a glass of wine and enjoy this CD". An excellent suggestion that I will second! Olivia Foschi has a wonderful approach to song and her voice is warm, rich and full. She sings, writes both melody and lyric, arranges and knows what it takes to make great music! I am sure we will all hear more from Olivia in the near future. This CD was released on March 11 and if you like great jazz music and singing, get your hands on this CD. A two months ago I had the pleasure of hearing Yve Evans sing with the Indian Wells Pops Orchestra doing a tribute to the Count Basie Band. 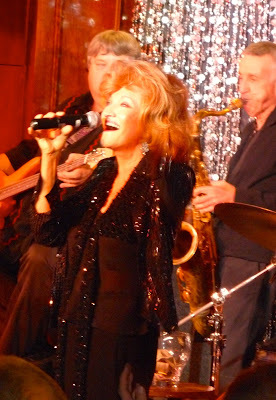 During her performance, Yve mentions some memories she had about the one and only, Joe Williams. Remembering the Count Basie Band without remembering Joe William can not be done. So I have attached three videos from YouTube for your listening pleasure. The first two tunes are unforgettable Count Basie's signature songs with Joe Williams at the microphone. 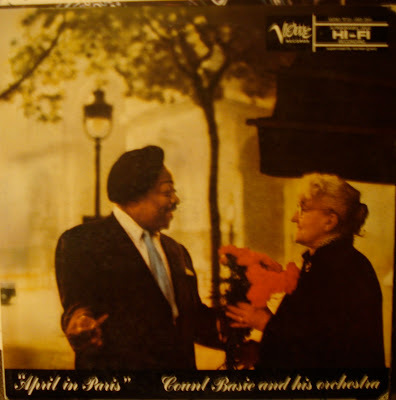 Please enjoy the great Count Basie with Joe Williams playing first "Well Allright, Okay, You Win" and then the Count with Joe singing "Every Day I Have The Blues". The third YouTube is the Count Basie Orchestra playing a song written by the Basie's long time Guitarist, Freddie Green, "Corner Pocket". "Well Alright, Okay, You Win"
"Every Day I Have The Blues"
I'm somewhat embarrassed to admit that this is the first time I had a chance to see and hear Linda Peterson perform. I was not disappointed. Linda has a wonderfully pure and strong voice, plays great piano and has a personality that makes it impossible not to love her. 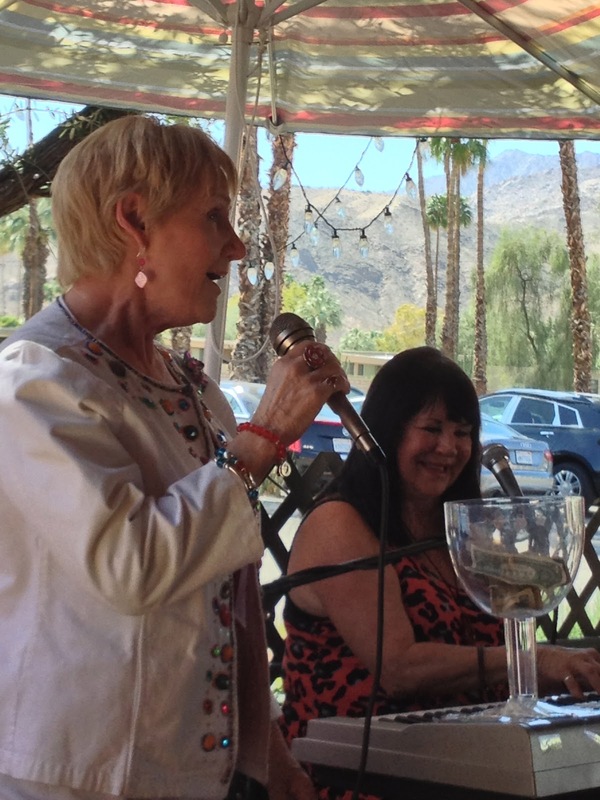 There is no doubt that Linda Peterson is one of the most loved performers in the Desert, and it's easy to understand why. Linda has a voice you could listen to all day. Her great personality and generosity of spirit are constantly evident as she works with all the performers who want to sit in with her. It was very evident she has legions of followers who show up every time she performs. 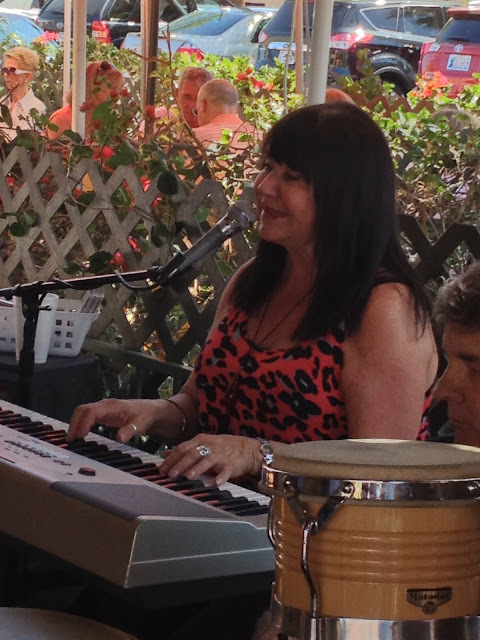 Linda has been performing at The Backstreet Bistro for years on Saturday for brunch. She starts at 12:30 p.m. so we decided to get over to Backstreet early to make sure we could get a table. 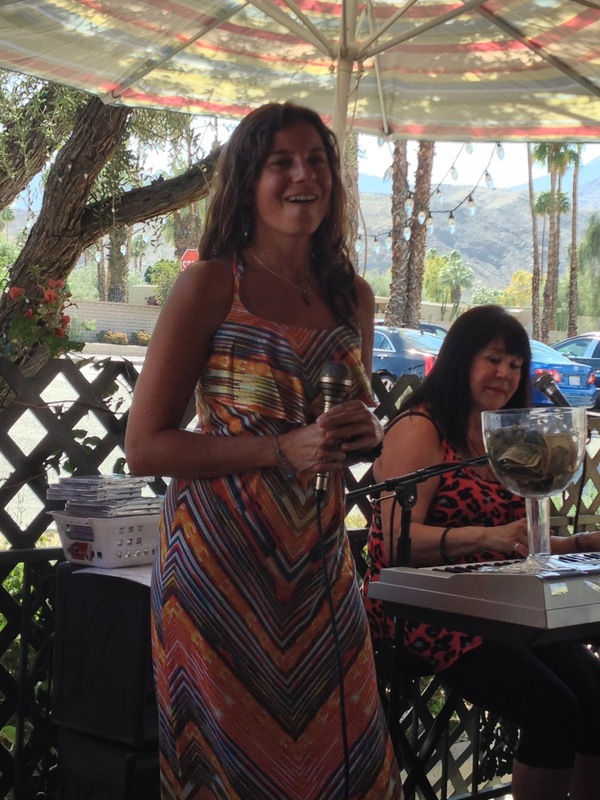 We arrived at 11:45 and we were lucky to get the last table on the patio where she performs. It seemed that everyone in the sold-out group knew Linda personally. After one experience with Linda, I can now say that I am a fan also. Linda's format on Saturday is "Open Mike" and she makes sure all the talented friends who show up get a chance to perform. Today was no exception, and a number of talented friends who came to brunch also performed. First up was "Bride to Be" Jeanie Monroe a crowd favorite. Good luck on your upcoming marriage, Jeanie! Joe Canoura was wonderful as usual playing his Tenor and Flute for all of the singers. 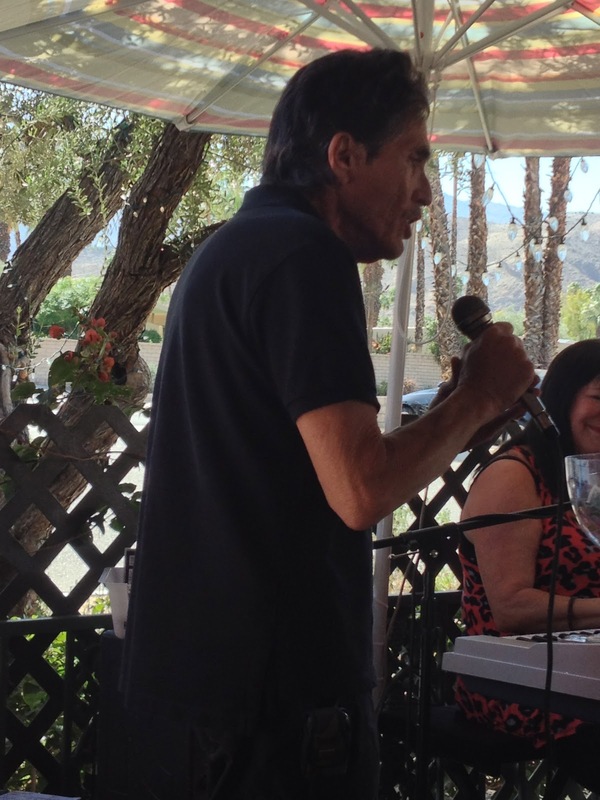 Valley favorite, Jack Pina played bongos for everyone. I think Joe and Jack usually show up most weeks to support Linda. 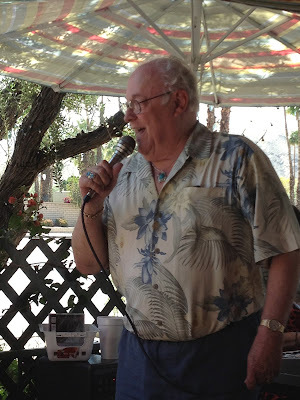 Wilbur Jensen played outstanding Fluglehorn and Trumpet behind most of the performers and Freddie Miller, Corey and Mara Papalas delighted the crowd by each singing several great songs from the Great American Songbook. 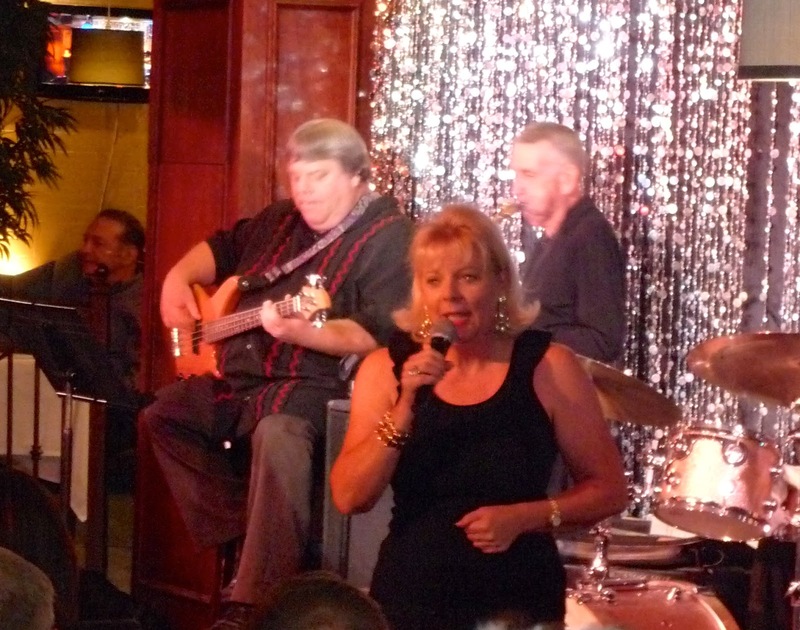 Finally, everyone's favorite, Carol Hampton who has supported Linda for years sang two great classics. She did an outstanding job on "I'll Be Around" then did a duet with Linda on "How Do You Keep The Music Playing" which was fabulous. 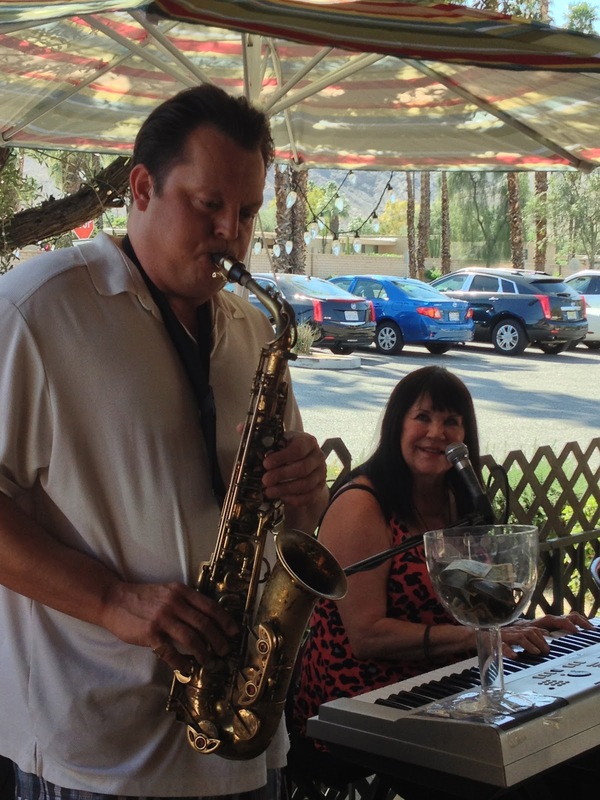 The audience had a real treat late in the afternoon when Linda's son Jason Delaire showed up to sing and play his alto sax with Linda. Jason is multi-talented, plays sax and piano and has a strong and unique voice. 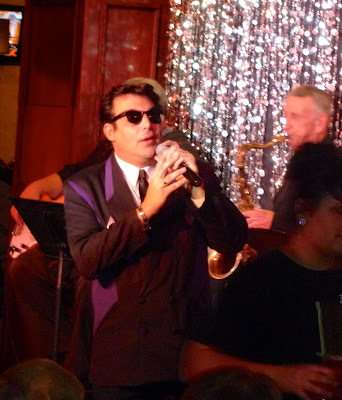 I learned that Jason has his own gig at the La Quinta Resort, and I am making plans to go to see him and do a review. 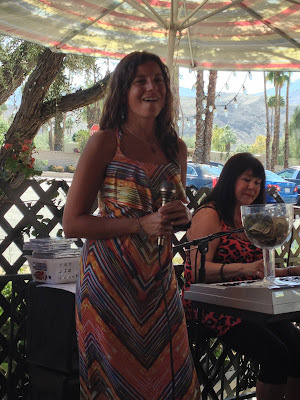 You can hear Linda sing and play at several different venues around town and I recommend you do. She performs on Sunday, Tues, Wed and Thursday at Davey's Hideaway in Palm Springs from 5:30 to 9:30. 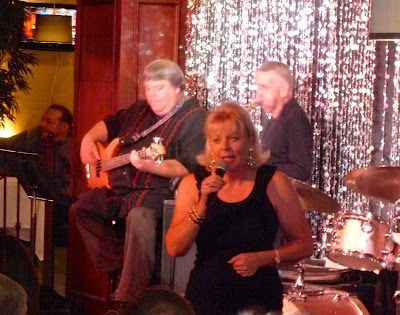 She performs at Cafe Des Beaux Arts Restaurant on El Paseo on Friday nights from 6:00 to 9:00 and of course she is a regular at Backstreet on Saturday Brunch from 12:30 to 3:30. 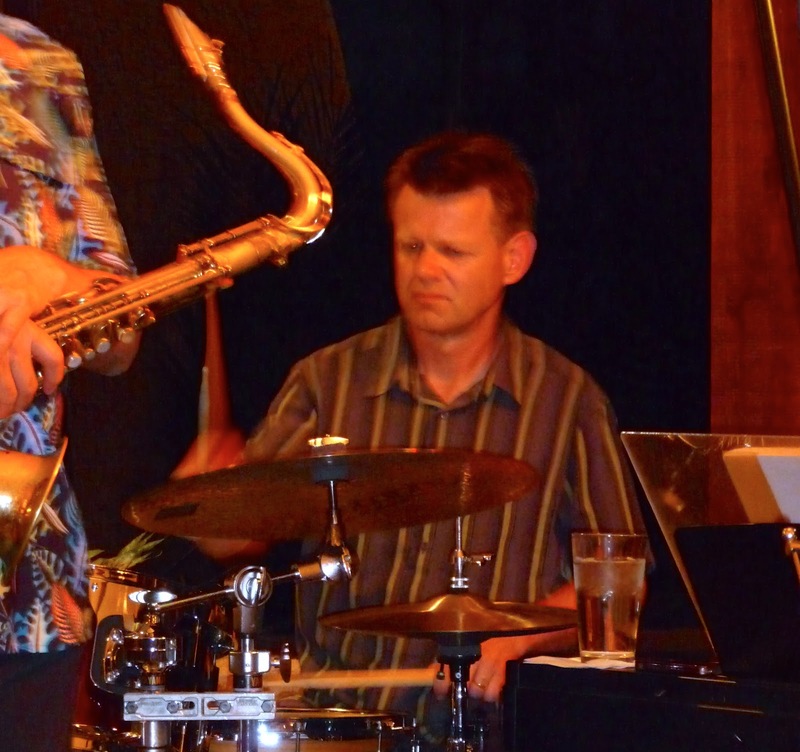 Wednesday, March 20 was the last session in the Jazz series that Bill Saitta put together at the Woodhaven CC. I decided to attend because I heard that Tom Keenlyside and Barnaby Finch were sitting in. I was not going to do a review but the Jazz was so good that I just had to let my readers know. I heard just a little of Tom's playing this season at the recent supper concert Tom and Steve Madaio put on at The Gardens on El Paso, and I wanted another chance to hear him close up. Tonight, Tom played a lot on his Tenor Sax, and it is hard to express just how good he performed. 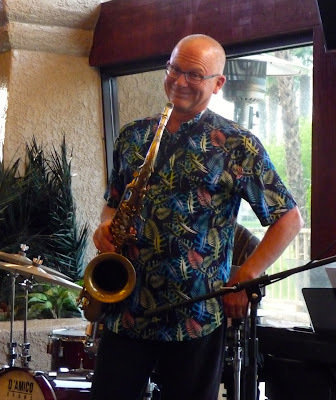 Tom is known by many for his superb flute performances but take it from me, a long-time Sax player, Tom plays Tenor Sax as good as anyone I have ever heard. Tonight was my first time this season to hear Barnaby Finch play and he exceeded my highest expectations! He was just "on fire". I can only tell you that both Barnaby and Tom were really cooking and took each other to higher levels of great Jazz. There was a real Jazz chemistry in the air at Woodhaven tonight and it not only could be felt by everyone in the packed audience but also by Bill Saitta and Jeff Olsen. Tonight I heard some of the best Jazz of the season! This group of musicians does not play together too often but I highly recommend that anytime they do, you should make every effort to get to hear them. 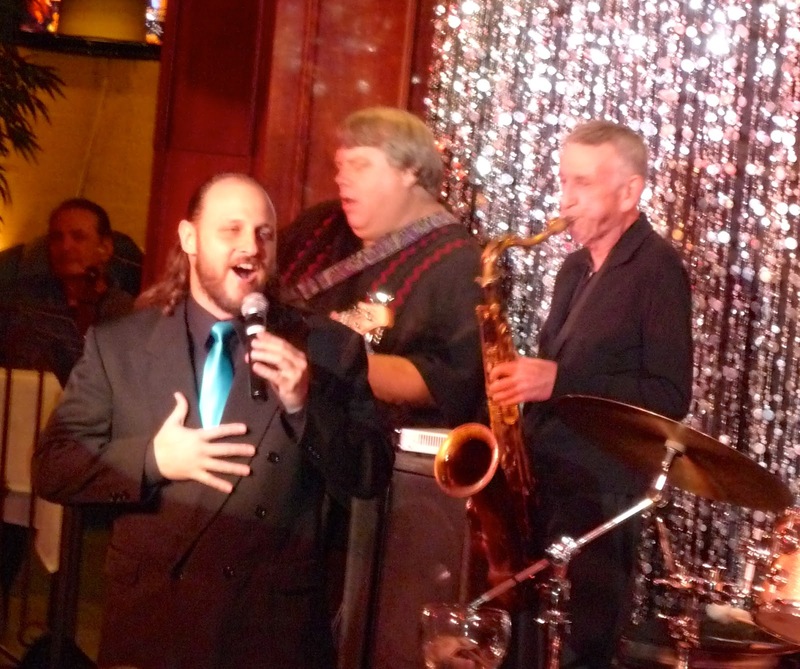 This is the last performance for Bill Saitta for a while. Bill is having surgery on his shoulder on Friday and will be out of commission for at least a month. Best of luck Bill, and we all wish you well and a speedy recovery. Andy T- Nick Nixon: CD Review, "Drink Drank Druck"
Attention all Blues fans, the new CD from the Andy T & Nick Nixon Band is simply a great Blues CD. The Cd was released on February 19, and it is sure to get lots of notice from the music world! 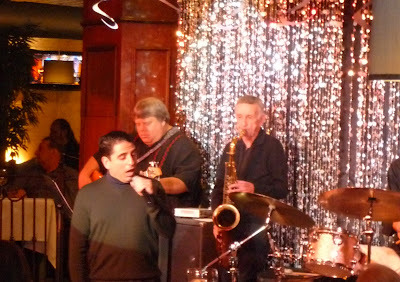 James "Nick" Nixon does the vocals including classics like Clarence "Gatemouth" Brown's "Midnight Hour" and T-Bone Walker's slow Blues "Life Is Too Short". Nick's vocal performance on the title track, "Drink, Drank Drunk" is just about perfect. I think Nick could sing a story out of a local newspaper and it would sound great. Joining Nick's voice perfectly are the great tones and guitar style of Andy "T" Talamantez's guitar. I think a direct quote from Nick Nixon is all that needs to be said about Andy T's Blues playing ability, "Andy plays great in every style of Blues, so I like to just play rhythm and let him handle the hot stuff. But even when he's playing the hot stuff, Andy knows that the Blues is about soul and feeling, not about playing a lot of notes. With Andy, there's no overplaying, he always gives me breathing room as a singer." Both of these fine musicians have been playing great music for years, but this is their first CD together. You can bet this won't be their last CD together! They are just too good together and need to continue making music for Blues lovers all over the US. Anson Funderburgh produced this CD in addition to providing some great Blues guitar support. Supporting these two superstars are some of the best side men in the business today, and they are listed in the chart below. Congratulations to all for producing a "four star" Blues CD. 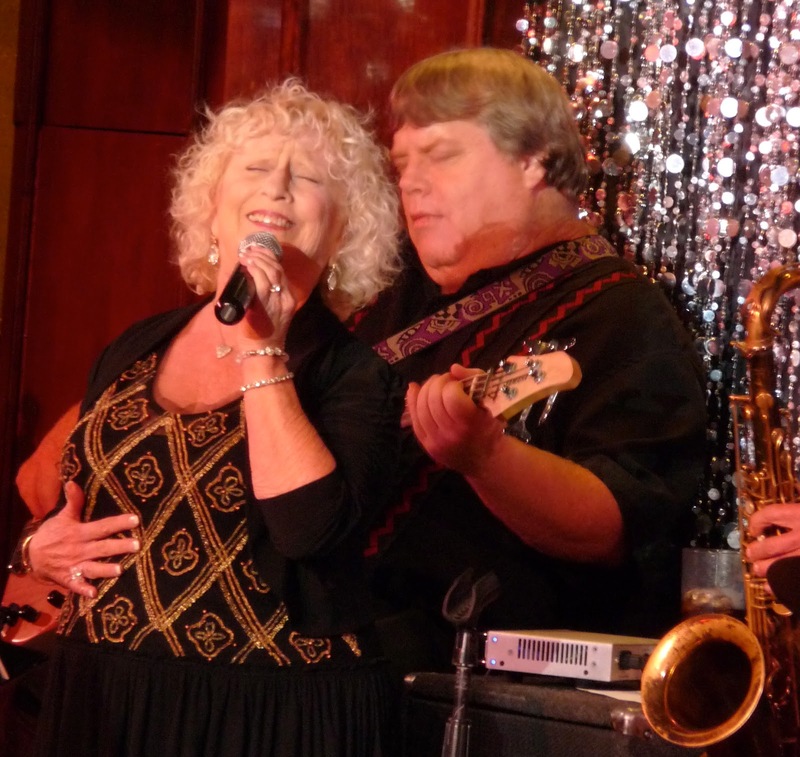 There was music magic at Woody's on Tuesday night, March 12 where Trish Hatley joined her sensational singing style with keyboard player Darin Clendenin and Valley favorites, Larry Holloway and Jeff Olson. 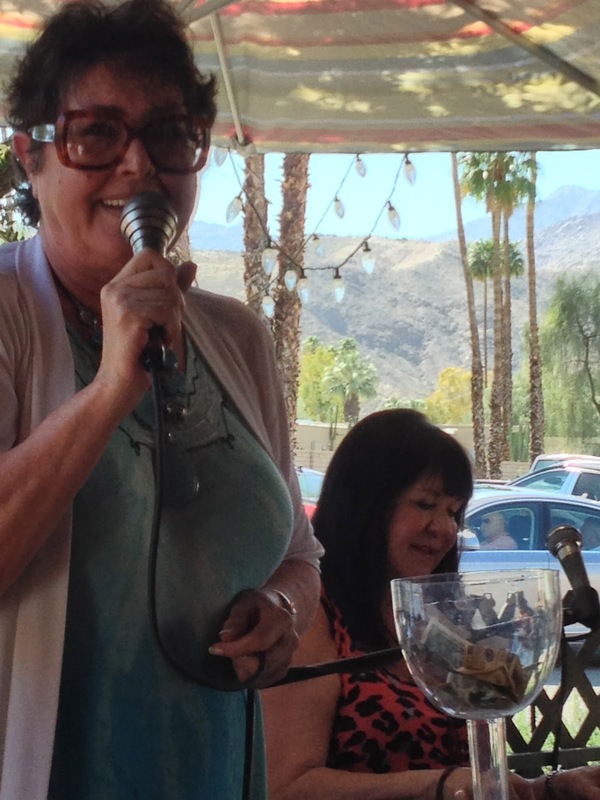 Trish Hatley has a great singing style that is all her own. 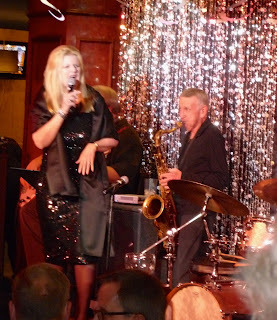 She loves standards from the "Great American Songbook" and approaches them in her own unique Jazz style. Her voice is very rich and clear as a bell and her phrasing is near perfect. Trish is simply a wonderfully-talented singer that I could hear again and again! I understand that Trish did a lot of singing with Larry Holloway when they were both living in Seattle and I believe Larry helped set up some gigs for Trish in the Valley. As a result, we got to hear some super Jazz sounds tonight. 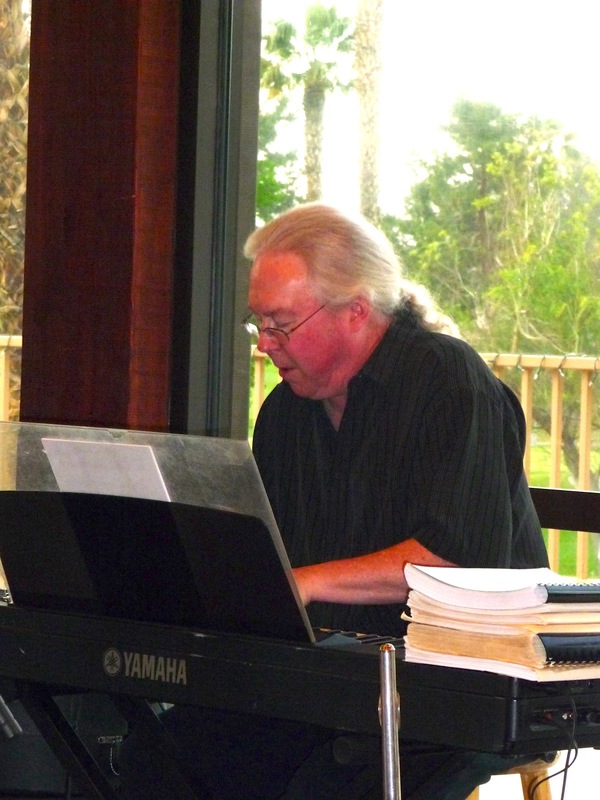 Darin Clendenin has been accompanying Trish on piano for the last several years and it shows. In addition to providing great piano support behind Trish, Darin also provided outstanding arrangements for Trish's performance. Darin is a super talented musician and I hope we get to hear more from him in the future. This was only the second time this group has played together but you would never know it from the music they made tonight. What stood out to me was the way Larry Holloway knew every vocal move that Trish made and there were plenty of them. Larry has always been one of my favorite bass players but tonight he was on fire. I have never heard Larry play better . 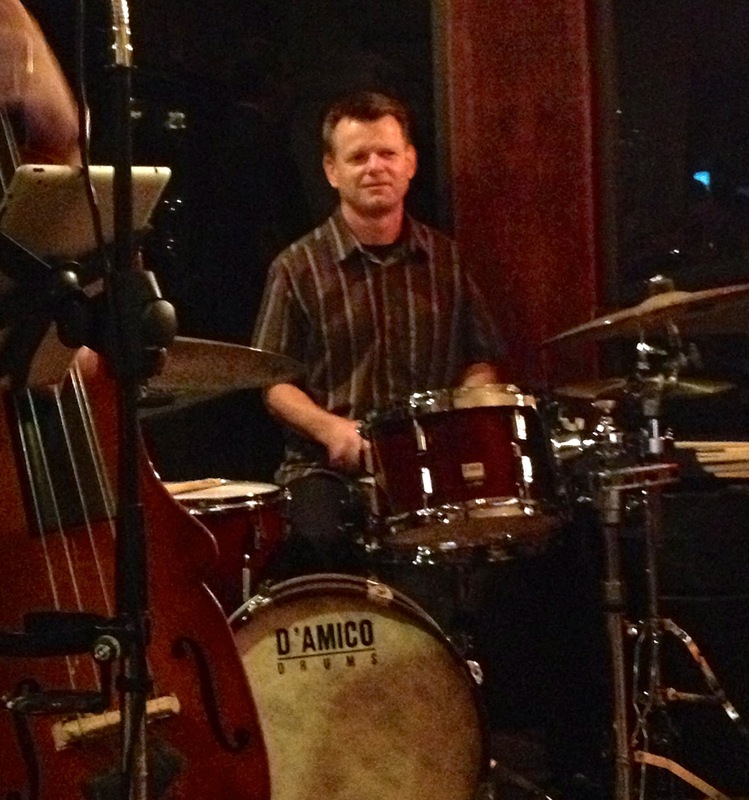 If I were a singer, I would want to have Jeff Olson playing drums in my group. I have seen Jeff play with Jazz instrumental groups and with Jazz singers, and he has the softest hands in the Valley. He is always focused and keeps the perfect balance of sound for both uptempo and torch songs. I understand that Trish may be doing some other dates in the area in the near future, and I strongly recommend that you try to see her, she is really good! 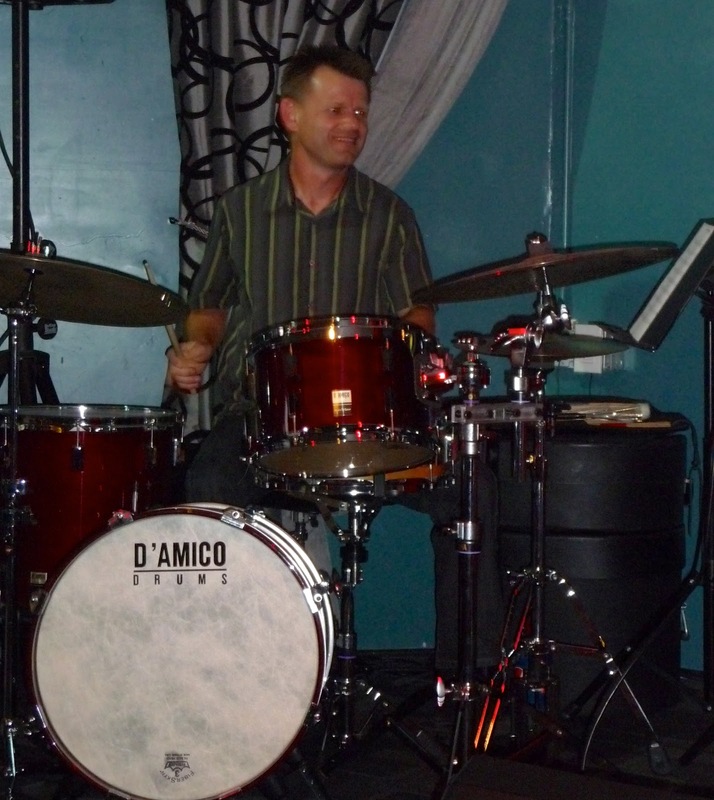 Dr. Dave Lalama is currently Professor of Music at Hofstra University and is a founding faculty member of the Manhattan School of Music Jazz Program. 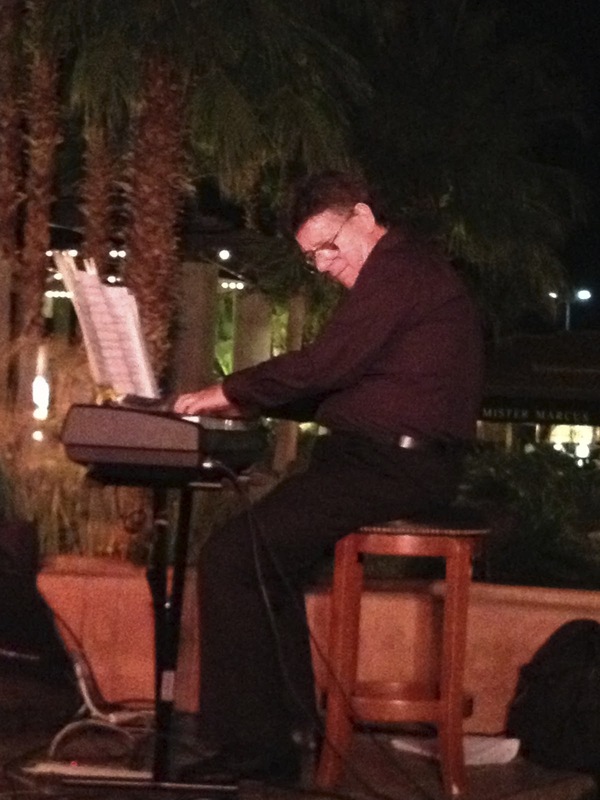 He received his doctorate in music composition from New York University and is an active clinician and performer throughout the US. 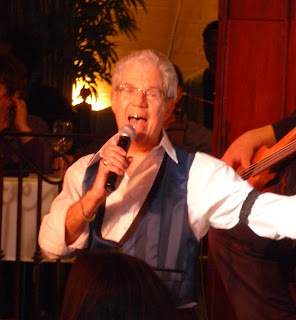 He has performed and recorded with Woody Herman, Buddy Rich, Mel Lewis, amoung numerous other Jazz artists. The Hofstra Project was developed by Dr. Lalama as a tribute to the hundreds of students, faculty colleagues and guest artists he has been associated over the years at Hofstra University. According to Dr. Lalama, "The music present here has been chosen to embody the past 28 years of Jazz Art Music-making that attempts to strike a healthy balance between ensemble discipline and improvisational freedom". The result in my opinion is that Mr. Lalama has achieved his objective perfectly. 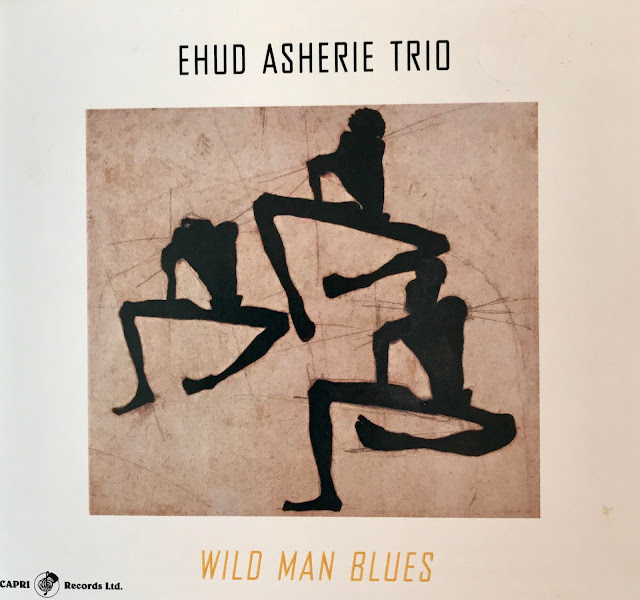 The charts are great, the arrangements are new and fresh and the musicians are precise and, yet, free to express themselves within this musical environment. In my opinion, "The Hofstra Project" played by The Dave Lalama Big Band is the best big band CD I have heard in years! This CD was released on February 26, 2013 and I know that my "Big Band" followers will flip when they hear this great band! If you only buy one big band CD this year, this CD should be the one you buy! 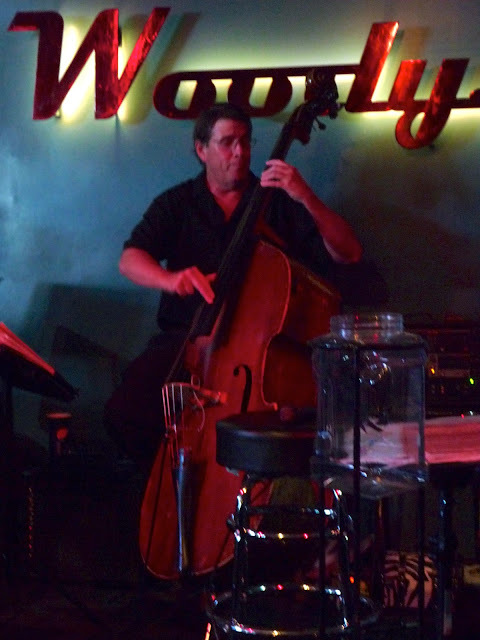 I learned of a new Jazz venue that opened in the Woodhaven Country Club so I went on Wednesday to find out what the scene was like. 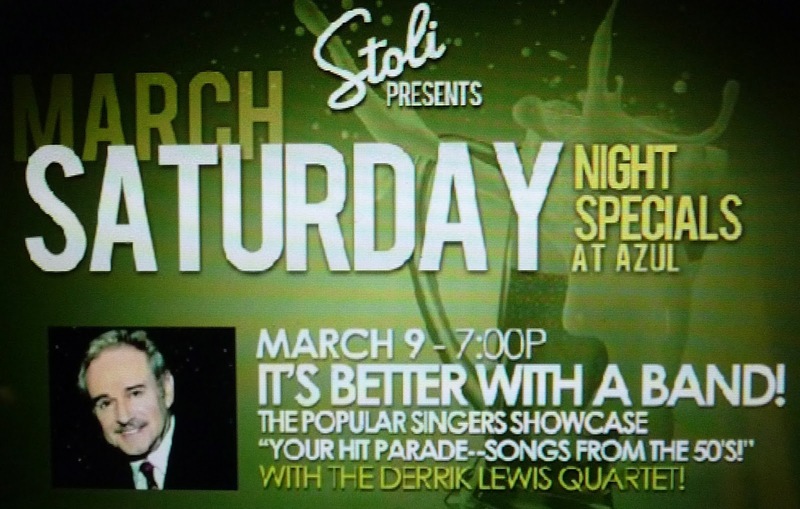 What I found out was that you can go there and hear 3 hours of great live Jazz and have a meal size appetizer for $9.95! 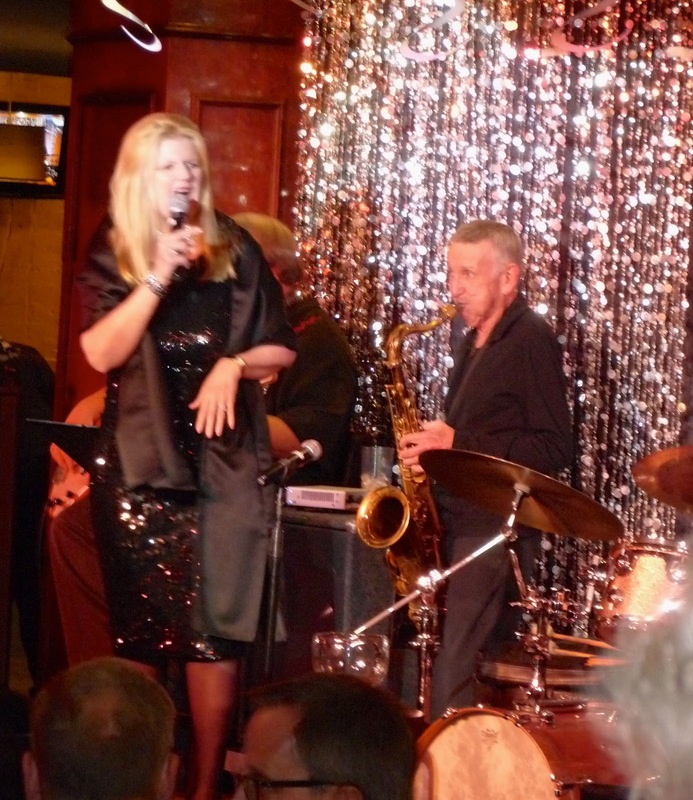 Live Jazz in the form of the Bill Saitta Trio with special guest, Kelly Corbin. 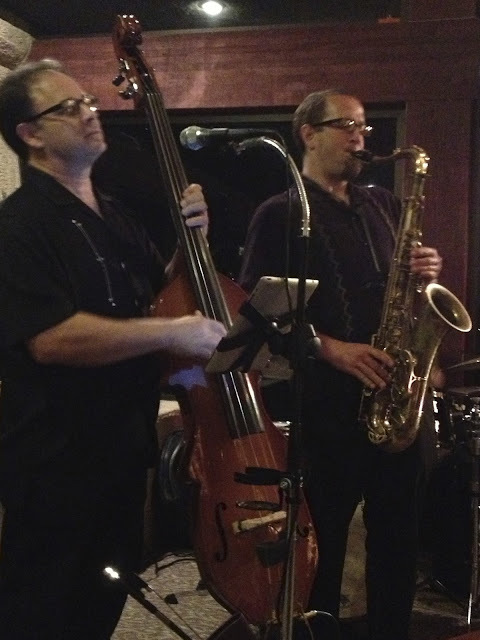 This trio plays up a storm of Jazz every Wednesday from 6 to 9 in the Vista Lounge. This was the first time this season that I had a chance to hear Kelly Corbin, and he was better than I remembered. Kelly is one of the best Tenor Sax players around and plays the keys off his Tenor. Kelly plays a lot with Bill Saitta at other venues, and if you have not heard him play, you are really missing some great Jazz. Doug Macdonald was on Guitar tonight, and it was my first time hearing him play. He was very impressive. Doug plays his solos in a very measured and intelligent way without a lot of extra notes, just a true direct, clear Jazz line. I also thought the construction of his solos were tight and thoughtful and a joy to listen to. His style is very different than most of the other Guitar players here in the Desert. Bill Saitta continues to not only produce great Jazz on his Bass, but he also is responsible for getting another live Jazz venue open in the Valley. 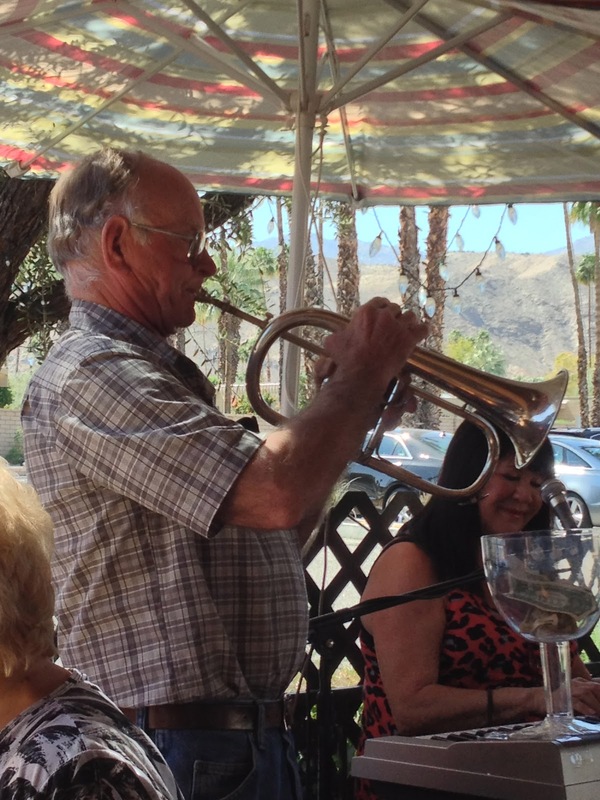 Bill has become the "Jazz Ambassador" of the Coachella Valley. My hat is off to Bill for keeping live music alive and growing for all of us! 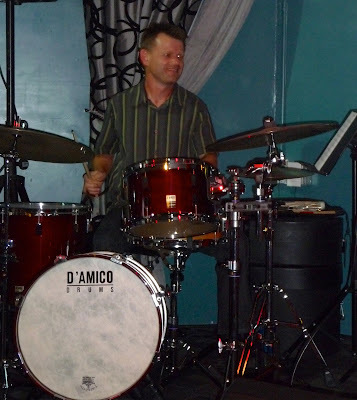 Also appearing tonight was the always wonderful drummer, Jeff Olsen. It seems Bill takes Jeff where he goes and with good reason. Jeff Olsen is one of the best drummers in California. 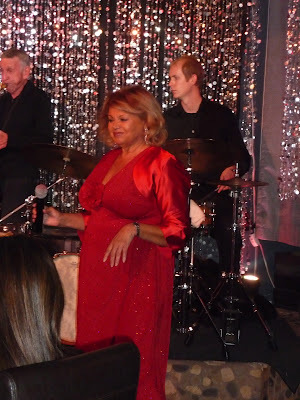 A group of Jazz lovers from Palm Springs including my friend, Beverly Jensen Leys recently traveled to Corona Del Mar, CA to attend the 13th Annual "Newport Beach Jazz Party". I asked Beverly if she would do a "guest" blog and tell us what she saw and heard on the day she attended. On Saturday, February 16, my friends and I witnessed and enjoyed some of the world's finest musicians. Our first stop was the beautiful and elegant Ritz Restaurant. My friends and I had the perfect table right in front of the band which consisted of Graham Dechter on Guitar (my nephew) Llew Mathews on Piano and Scott Hamilton on Alto Sax. They were a wonderful and exciting trio. We enjoyed every minute. The following group was also trio consisting of Brian Nova, Doug Macdonald and Bruce Foreman, all of who played guitars with Danny Flahive on Bass. They provided additional wonderful and exciting sounds. We then strolled across the street to the Marriott for the big evening performances by the great musicians at the Newport Jazz Party. Our table was not as close to the stage as we would have liked, but there was no problem hearing every musician. First up was James Morrison from Australia who was fantastic on Trumpet, Bass and Trombone. The always great, Jeff Hamilton Trio plus Brian Nova accompanied him. The Jeff Hamilton Trio performed again with Jeff on Drums, Tamir Handelman on Piano and Christoph Luty on Bass. WOW... what a band and after three tunes Jeff brought out a special guest, my nephew, Graham Dechter to play Guitar. His playing was phenomenal and brought down the house. 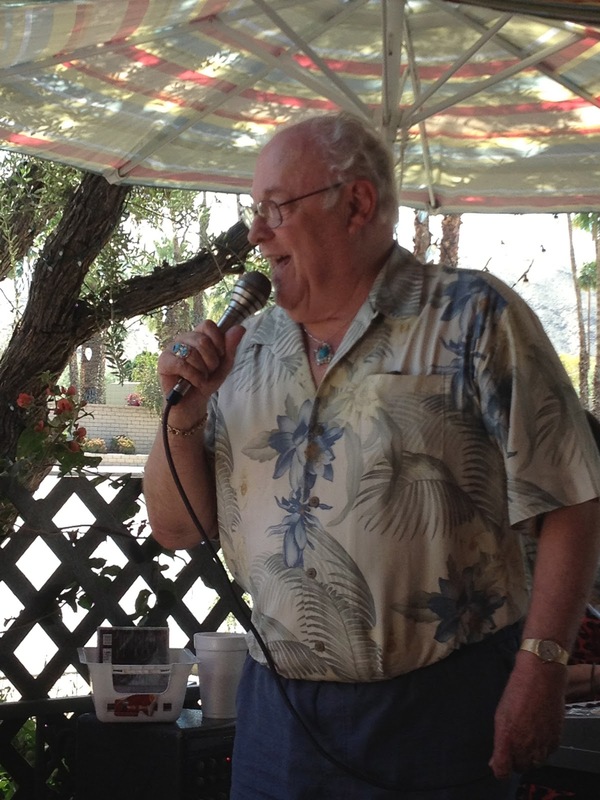 Next was Ernie Andrews who is a great performer and singer. He was backed by my dear friend Richard Simon on Bass, Jeff on Drums and Eric Reed on Piano. They were fabulous! 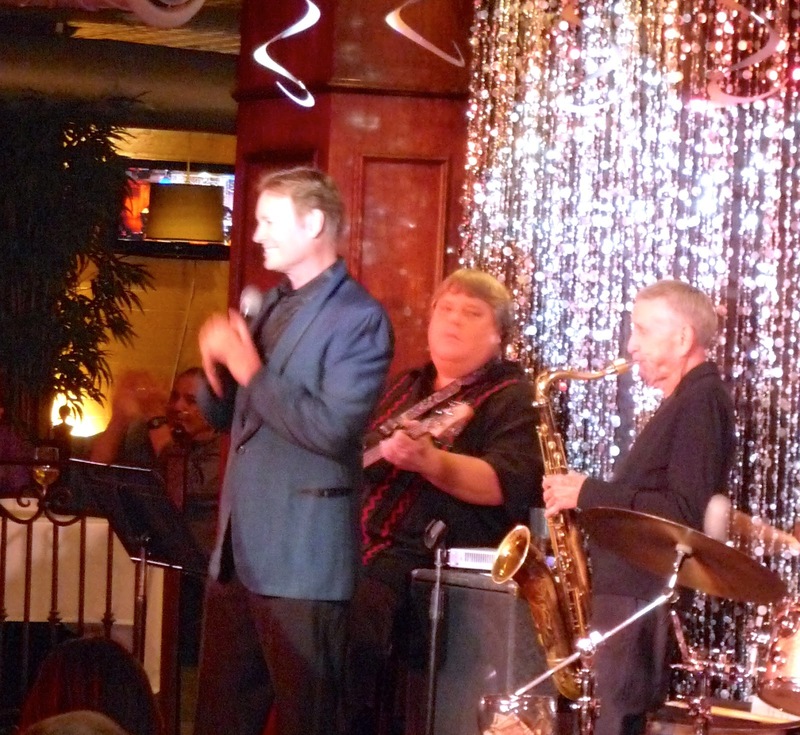 The Last group was Houston Person on Tenor Sax, Ken Peplosky, Gary Foster, Chuck Berghofer and friends. The entire Newport Explosion begins on Friday and goes until Sunday night. We were only there for one day.......but what a day!! We returned to Palm Springs around 3:00 a.m., and it was worth every minute. We are already making plans to go again next year, and you should do the same. Steve Madaio and Tom Keenlyside Bring A Sold Out Crowd To Their Feet At "The Gardens". 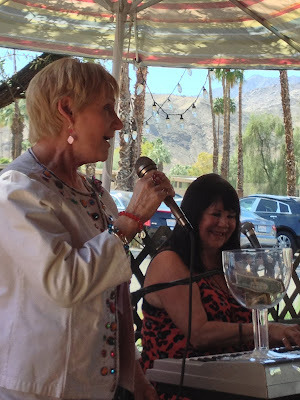 From the very moment we arrived at the beautiful "Gardens On El Paseo" in Palm Desert, we could sense an excitement in the air. Tonight was going to be a very special night! Steve Madaio and Tom Keenlyside were about to perform songs from their KM Project's new CD, "Slices". This CD has not been officially released to the public, but it is causing a buzz throughout the Valley. On this CD, Steve and Tom have carefully selected some of the great songs of the 60's and have recorded each one with their own Jazz interpretation. Those lucky enough to have had a pre-release opportunity to hear this CD have only expressed rave reviews! The concert was scheduled to start at 6:00 PM so we arrived early at 4:50 PM in order to get a good seat. Much to our surprise, about 300 Jazz lovers had the same thought in mind. The crowd this evening had the kind of excitement and electricity that would rival any major Jazz event I have attended. The night's proceeds, (100%) went for the benefit of "Morning Start Center of VNA California, a center for kids who are grieving the loss of their parents. So the concert was a win-win for children of need and Jazz lovers throughout the Valley. The program started with Steve's and Tom's interpretation of Bobbie Gentry's classic "Ode To Billy Joe" which got the concert off to a rousing start and brought the audience to their feet with applause. The audience appreciation of the music never stopped as Steve and Tom played several other songs from their "Slices" CD including Herbie Mann's "Memphis Underground" and Steppenwolf's "Born To Be Free". The last song they played from "Slices" was the great song written by Mick Jagger & Keith Richards, "Sympathy For The Devil" that brought the house down. True to their professionalism, Steve and Tom have added some of the very best players in the country as part of the KM Project Band including Bill Saitta on Electric Bass, Mike O' Neil on Guitar, Doug Westfall on piano, Andy Fraga Jr. on Drums, and Yarek Urant on Keyboard. This night started and ended with an audience that was ready for some world class Jazz sounds and they were not disappointed.